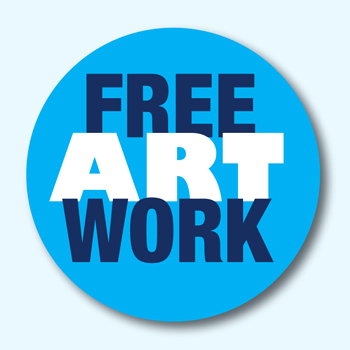 *FREE ARTWORK : We can set up your artwork at no extra cost. 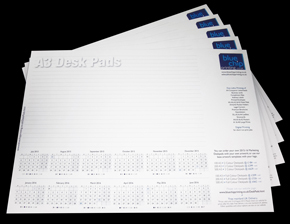 Just supply us with your logo in a suitable format (High resolution PDF, or EPS file), and select one of our standard A3 or A2, 2019 Calendar deskpad templates below. We'll adapt our templates to fit YOUR brand and colours (including spot Pantone ® colours) & use YOUR logo; Or download our template files and set your own artwork up based on these (click on the relevant PDF icon). Customer reviews - See below at the bottom of this page. Thank you Blue Chip, you got me out of a jam, turning round deskpads for me in only a few days. They looked great. Will definitely think of you in the future. Great product and really super, personal customer service. We ordered the A3 desk pads, personalised with our company logo, and were extremely happy with the final product. The quality of the product was fantastic, we would definitely use this service again. Blue Chip printing have been a dream to work with. They are really prompt with all enquiries and the finished product was perfect. It was great to know that care and attention had been taken to my artwork to ensure that the print was of the best possible quality. Thank you! Using my own artwork these pads were printed and delivered very quickly indeed. The price was good and my client was very happy with them. We regularly order this item from Blue Chip and have always found the product, and the service, to be exceptional. The turnaround time is very fast, the ordering process is extremely easy and it is all topped off with great customer service experience. 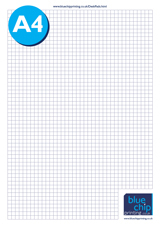 We will continue to look to Blue Chip for our corporate stationery needs. Great prices for the quality of the pads. Brilliant assistants on how to use the website. Very quick turn around times. I will definitely be ordering from Blue Chip again! A speculative email at 1730 one evening resulted in a proof that night, and the delivery of the finished item within a week. Quality of the normal paper is great - just what we wanted. Delivery and packaging excellent - just what we wanted. Excellent product, exactly what we wanted. There was no issue, or problems with having some slight amendments before we agreed on the final product. We will definitely re order. A happy customer, thank you. At first i was a bit hesitant due to not being able to hold the proofs myself to evaluate the quality, but I was amazed at the quality reaction time and professionalism of Blue Chip printing as well as the lowest price anywhere for all our needs, I will certainly be using Blue Chip for all our printing needs moving forward. they have excelled themselves. Very pleased with the job by Blue Chip Printing. Cost effective, fast turnaround and good quality. Superb product, very well priced & fantastic service. Would highly recommend & will be using again. 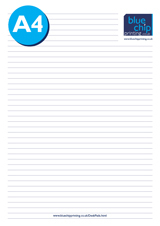 We had received a sample in the post of the Blue Chip A3 desk pad. We were looking for a great price on Desk Pads at the time. Blue Chip prices and spec were the best we could find. Received the product today, and they look FAB! Really impressed with the service. Great product! Thank you all very much! Fantastic product they were just what we have been looking for. Extremely helpful staff we will definitely be using again. From start to finish, Blue Chip Printing were a pleasure to deal with. Our artwork was approved in rapid time and the delivery of our pads arrived ahead of schedule. The pads we ordered are of excellent quality and the print quality is superb and have received positive feedback from employees and peers. 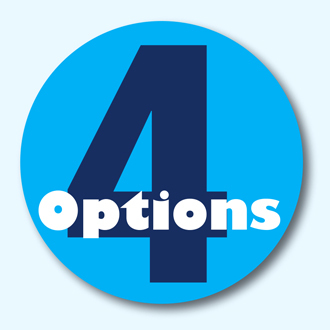 Overall, Blue Chip Printing deliver flexible, high quality solutions with excellent customer service and ultimately, value for money. I would not hesitate in recommending them for our future requirements. We were let down by a printing company at the last minute, which placed us in a very bad situation as we needed the order urgently. We called Blue Chip printing just after 5pm and they answered the phone immediately. We explained the issue and the urgency and they dealt with it immediately. They even stayed on late to receive and process our artwork. The goods were delivered in record time (after they kindly moved their production scheduled to fit this work in) exactly as promised. The quality is excellent and so is the price. I honestly cannot recommend Blue Chip Printing enough and I will certainly use them again. This is the sort of service you that sets them above the rest. many thanks to Blue Chip Printing!